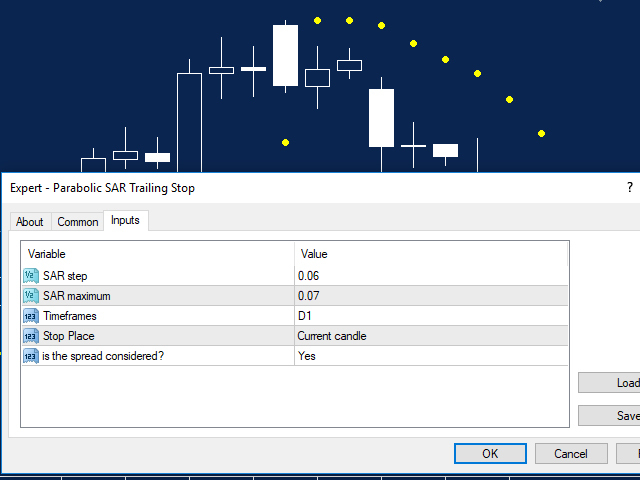 This utility manage your position risk by trailing stop with "Parabolic SAR" indicator value. Stop Place(put SL in current(open) candle or last close candle). Is the spread considered? (Set SL with considering to Spread or not, the choice is with you). Working with this utility is very simple, Just drag it onto the chart. There is no problem with multi-part trades. It is very suitable for long-term trading and very useful for scalping.